This April, for Oral Cancer Awareness Month, we’re highlighting the importance of oral cancer screenings and cluing you into what the examination process involves. Oral cancer refers to cancers that occur anywhere around your mouth such as the tongue, lips, throat, and cheek. Left untreated, oral cancer can spread to other areas of your body and even become fatal. The exam will begin with an overview of your medical history, assessing your risk for oral cancer including any family history of disease and habits like heavy drinking and tobacco use. Prepare to answer questions about your overall dental health and your regular oral hygiene routine. An oral cancer screening will include a thorough examination of your mouth, neck, and head to check for any abnormalities. 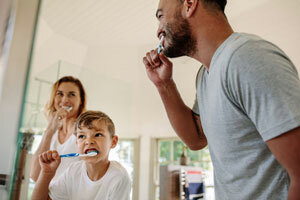 First, a visual inspection will be completed to get a good look at every part of your mouth and other areas that can be affected by oral cancer. Dentistry at East Piedmont uses VELscope®, a handheld, cutting-edge dental tool, to assist with visualization. 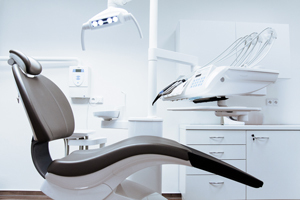 After your dentist has performed a visual inspection, they will conduct a physical exam and touch the inside of your mouth and all around your head to feel for any lumps or masses. Once your oral cancer screening is complete, your dentist will review the results of your oral health examination with you and let you know if they found anything suspicious. Though your dentist can assess whether something looks like mouth cancer, a definite diagnosis requires a biopsy. If an abnormality is found, your dentist may refer you to a specialist or oral surgeon for further inspection or treatment. Early diagnosis is critical for treating mouth cancer and ensuring the problem doesn’t worsen and put you in further danger. Screenings help you detect the disease in its early stages so you can not only treat it before it spreads, but also assess your risk for developing mouth cancer later on so you can find ways to prevent it. We’re committed to your health and are proud to offer a complimentary oral cancer screening with every new patient exam. To learn more about Oral Cancer Awareness Month or book an appointment with Dentistry at East Piedmont, call 770-609-4544 today!